My husband’s family is Venezuelan by way of Canary Islands. 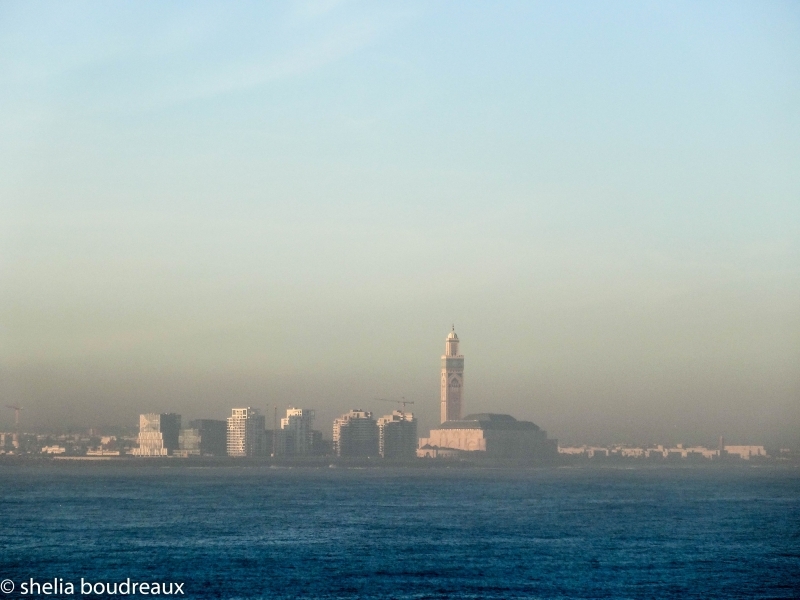 My dad and I had talked about going to Morocco for a while. 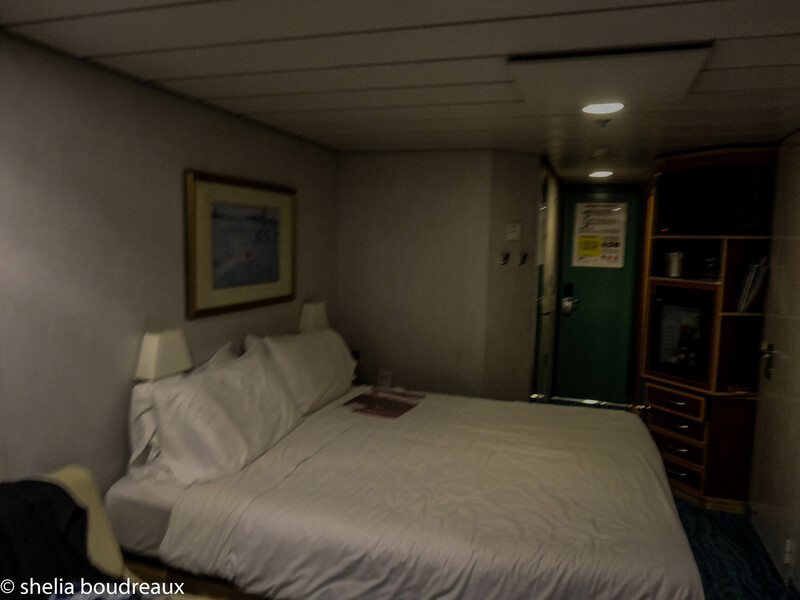 I was sitting in a hotel room in New Orleans watching my husband sleep, when I got an email from NCL.. “Cruise Special” (or something like that). I started looking and oh boy! For $700 we could have a 10 day cruise from Barcelona, to Canary Islands and Morocco. Let’s do this! Within hours it was an easy decision. It’s also easy to plan a vacation while you are on down time of another vacation. This is why ships have the big discounts if you book your trip while still on board. They get you when you are all in a good mood and forgetting about your light bill… but I digress. We started the trip in Barcelona. We got there a full day earlier so we could see a little bit and then get on the ship. This also helps because then you aren’t worried about rushing to make a flight. We stayed at Andante Hotel and I would definitely return. The front desk guys were great and even called to make us last minute reservations. The rooms were big, clean and modern. It was just walking distance from everything we needed. 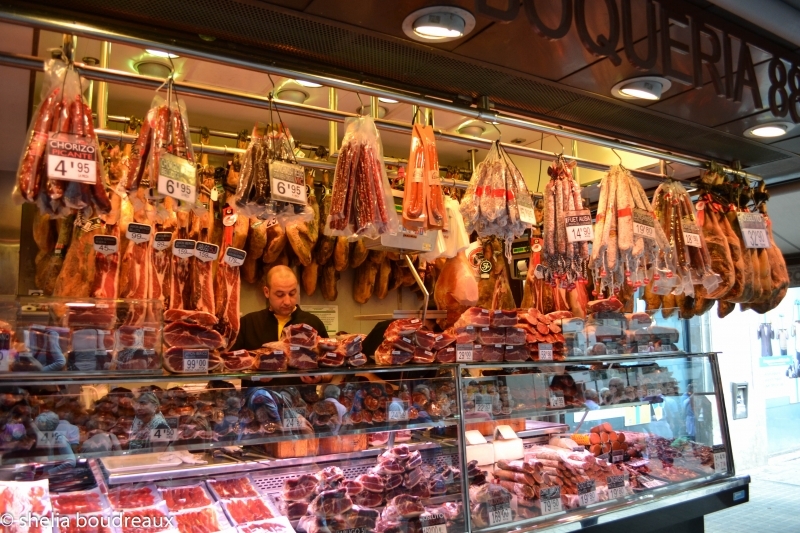 I have been to Barcelona before so we were tour guides for my family. I love showing people around and showing them the sites. 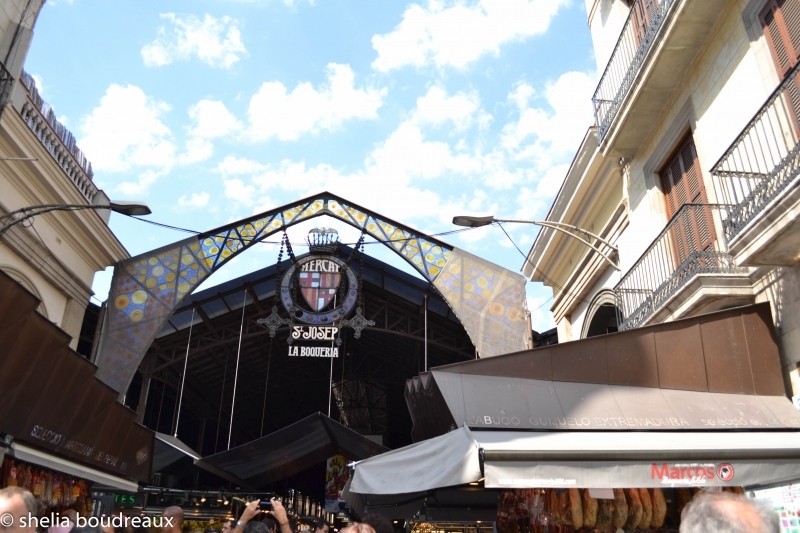 La Rambla – I know it is touristy, but there is always a good show going on and places to buy things. You can walk up and down for hours seeing new things and the walk is free! We got up the next day and headed down to the coast. Everyone said you can walk. After piling into two cabs, we were so happy we didn’t walk. We saw people with their luggage – it didn’t look fun at all. If you flew halfway around the globe to cruise and you want to save $10 on a cab, perhaps you can find something closer to home? So, on the ship we went. 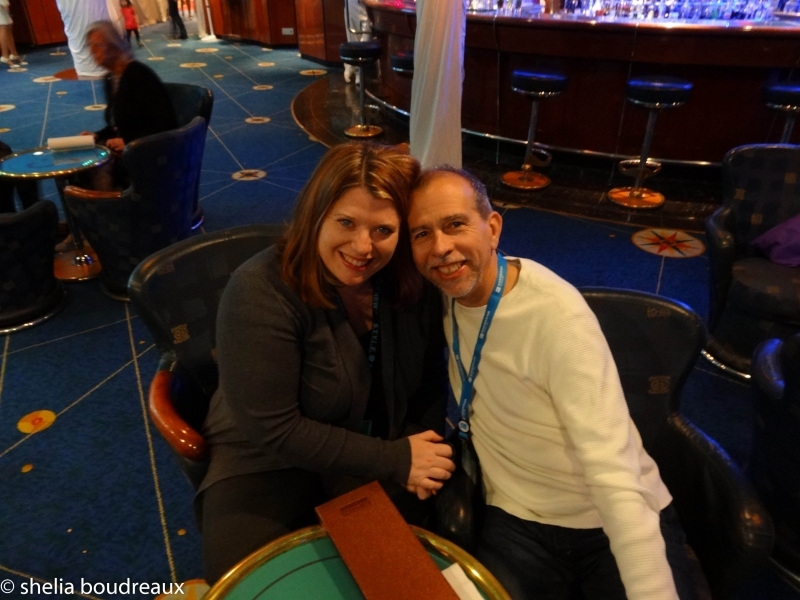 I talked a lot on the Alaska cruise about the importance of the balcony rooms. Again, if you can, spend a little money. It isn’t as important to have a balcony as it was Alaska, but it was very nice. It’s not like out in the Caribbean where it is water and that is it;there are a few things to see along the way that you might want to have a view. 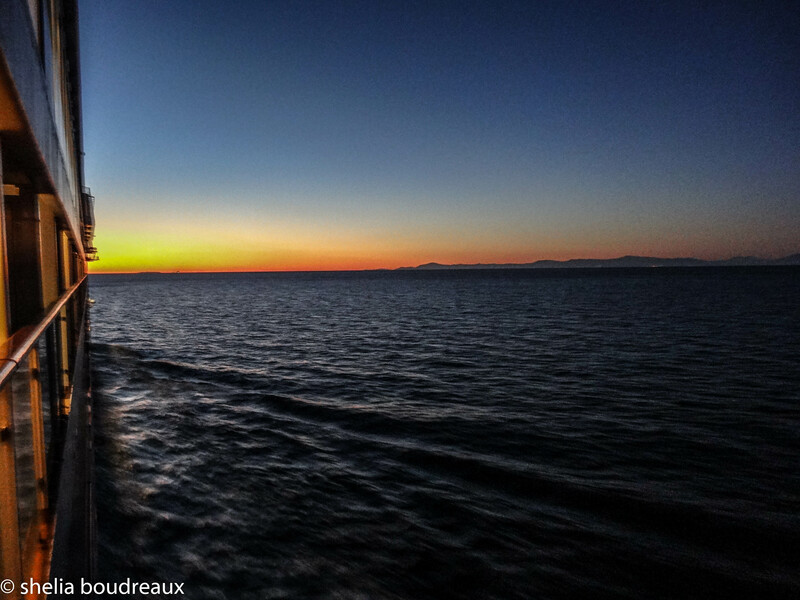 Coming into the ports were nice and as we crossed the strait, although it was dark, was peaceful. This was our room. I am standing next to a chair so it is small, but it worked fine for us. I did extensive research on Casablanca. I had maps, addresses, etc and researched places to eat and things to do. Then on the ship, there was a an advertisement for an excursion that took us to the Mosque and a City tour. At first I was a little annoyed with taking an excursion because I had (thought) I did my research. 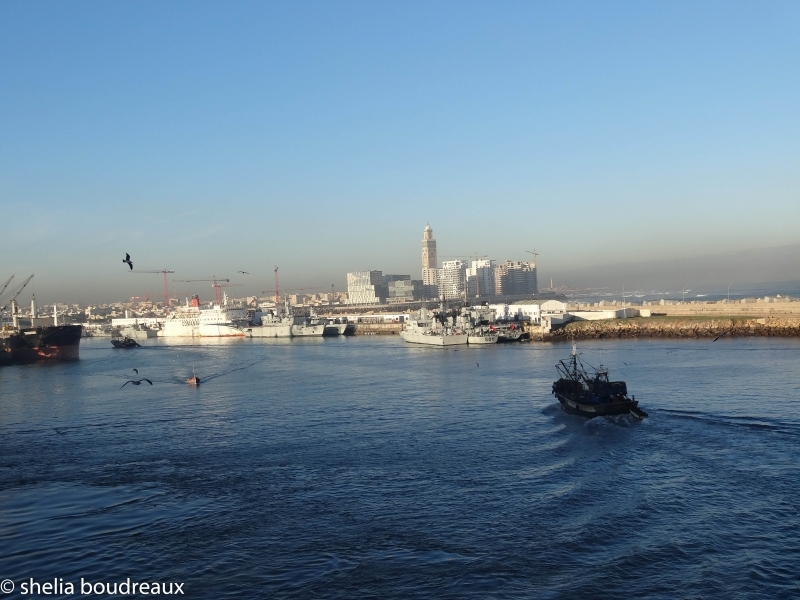 Well, let me say this… if you think you are just going to walk around Casablanca and check out the sites, you might find yourself very tired, lost and frustrated. First thing is the money situation. They are not in the EU, so no euros! You are only in the city for less than a day. If you exchange money there is a process that is rather complicated. 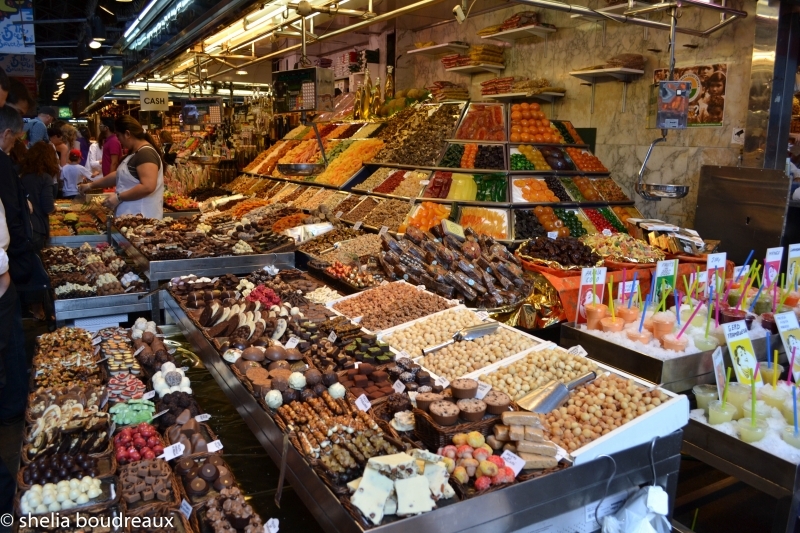 The excursions have worked out a deal with markets to take euros. Yeah, yeah you aren’t getting the full market appeal, but the point of cruise ports is to sample the culture. If you want to really get into it stay awhile, otherwise just go with the flow. That being said, do make sure you count your money. We were almost overcharged several times (they see tourists coming!). 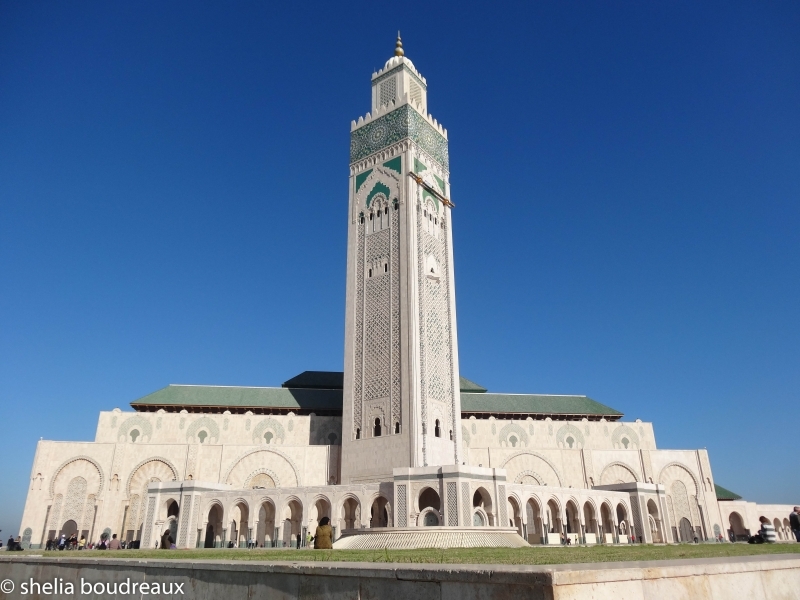 Now the best part… The Mosque. I must admit that I have never been inside a Mosque or know anything about it. I was a little embarrassed when I realized how little I know about the Muslim culture in general. Our tour guide was a wonderful, progressive woman. She taught us about the washing before prayer, the traditions etc. As we would walk/drive along, she would point out random things like, “you see that chair, that is for if I get tired, but I don’t need it now”. Anyway, there is sort of a line to get into the Mosque and there is only a window of time to do it. You must go with a tour, although if you decide to ignore my advice and go alone, you can get into a tour onsite. You take off your shoes and put them in a bag to carry with you. Know this ahead of time just in case you have a hole in your sock or something. Then the guide walked us through the building. I have a tremendous amount of photos, so if you want to see more, contact me. It was truly an amazing structure. I have seen many cathedrals and other architecture masterpieces, but this is at the top of the list. I was in awe. Let me also address the “women”. A few people told me that Casablanca was a very modern city and women could wear/do whatever we do here in the states. That may be so, but I did not see it. I saw many cafes with only men. Most non-tourists were covered. I would not have been comfortable walking alone, but maybe after a while you get used to it. It is also good to note that the actual city is quite far from the ship. As much as I hate to say it, this is a place that you probably do need a guide to help you navigate. 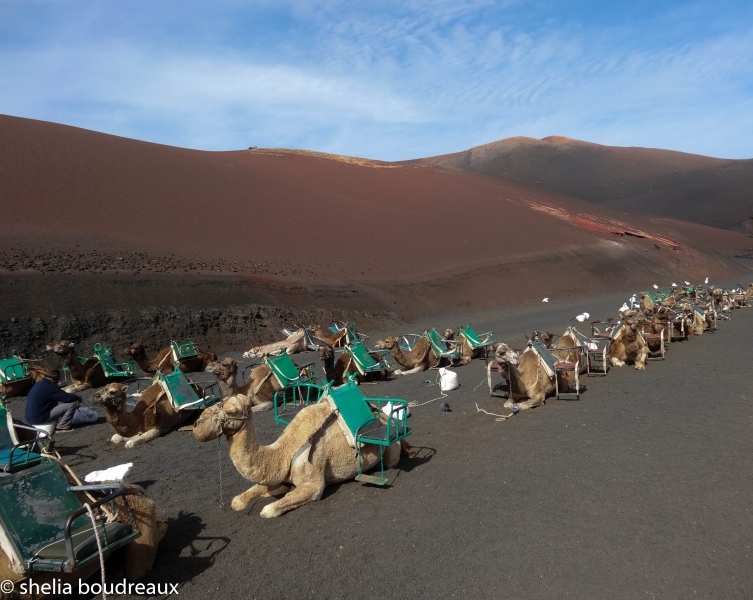 Have you ever ridden a camel in the desert?? I have! But if you already have, you know it is a bit organized. They won’t let you take off and run them or anything. But it is still very cool. This was one of my favorite stops. 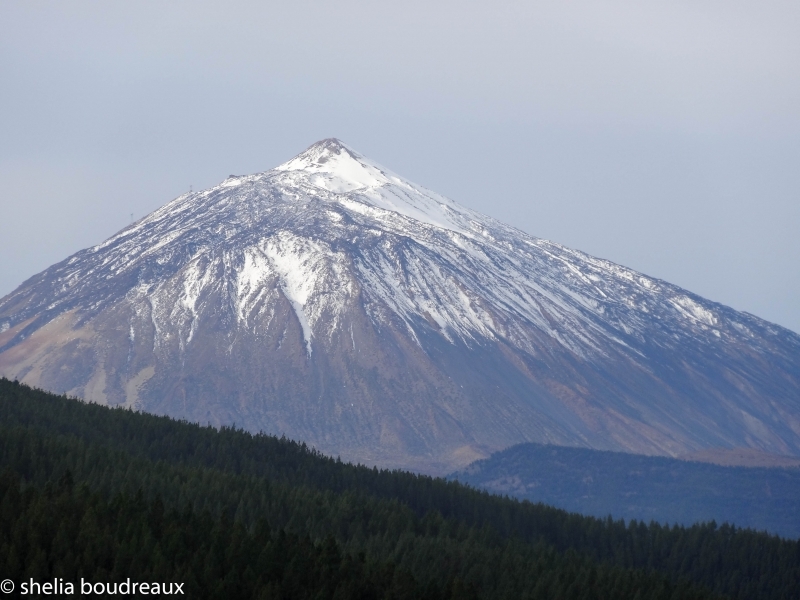 We wanted to go to Teide National Park and you really need to take a tour or drive yourself. We opted for the tour because there were five of us and we wanted to maximize the time rather than our usually getting lost. The tour guide was beyond fabulous. One of the reasons we don’t like tours is because you are stuck with the guide’s itinerary. Our guide was flexible, showing us where we could see additional things. We stopped to see the Finger of God. That was so neat to see the rock formations. 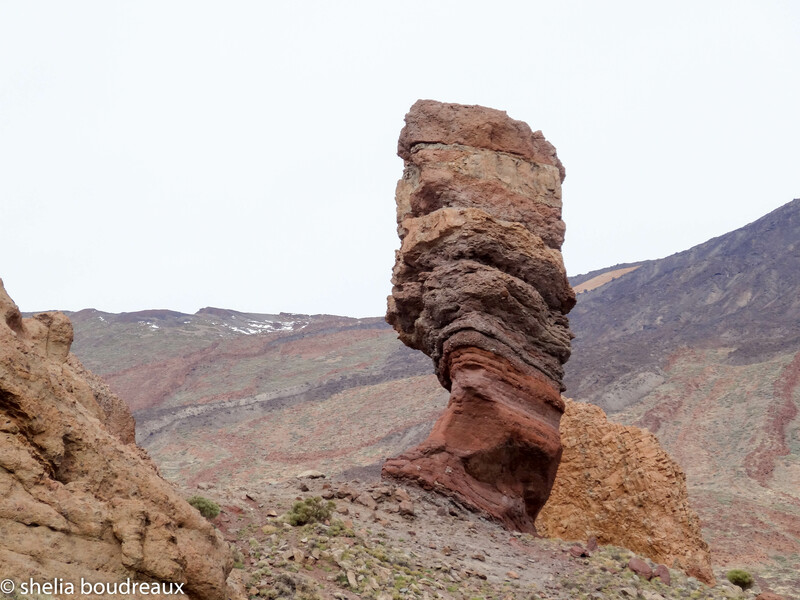 Then we headed to Teide National Park where we stood in the freezing wind and saw incredible views of the park and the volcano. I am so glad we opted for this because it was truly amazing. 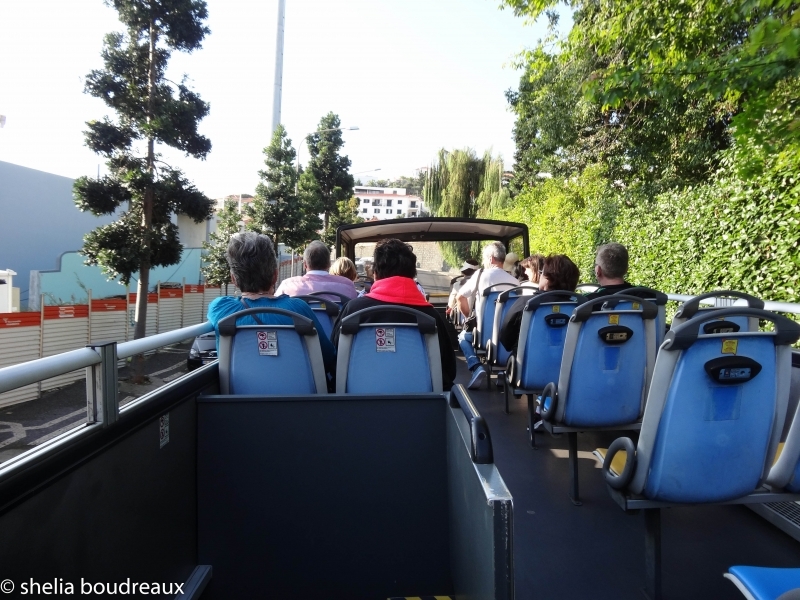 There is not a lot of major things to see in Funchal, so we opted to just take the hop on hop off bus and that was a good deal. Then we stopped off at a wonderful bakery/cafe. The waiter was just so funny and helped us with the menu and to pick out all our grand pastries! 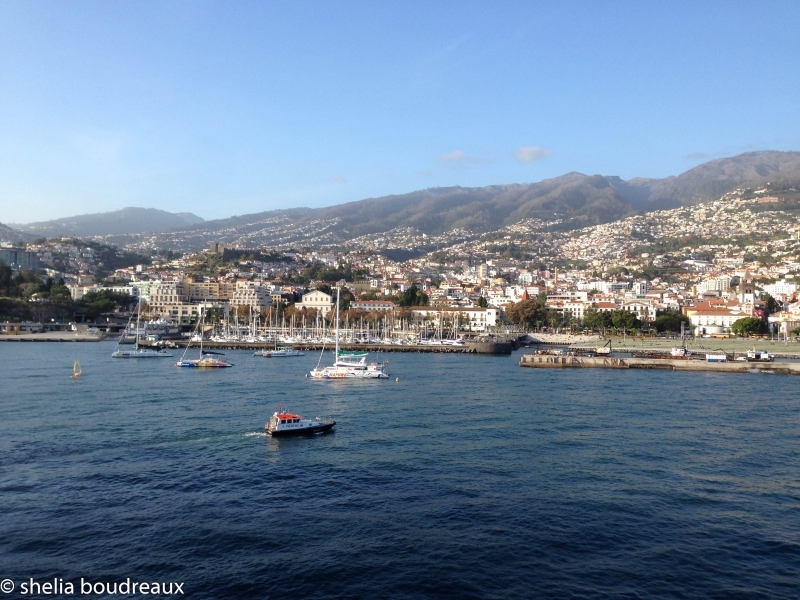 Funchal was a good place to see, but not a lot of spectacular sites other than at the piers. 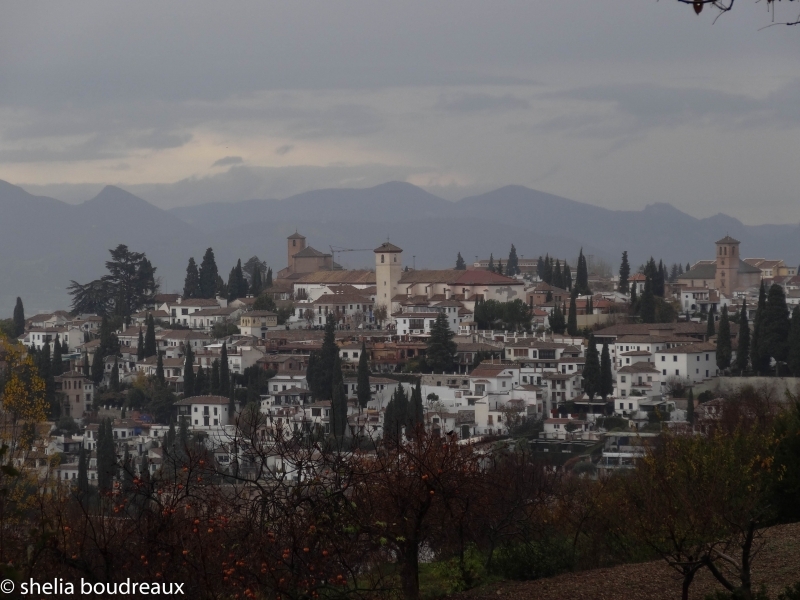 The second reason my husband wanted to go on this cruise was not to see Granada, but to take a bus to Alhambra. Many people know Alhambra, they just don’t realize they do. Remember in grade school when you were learning about Columbus and how we went to Queen Isabella for money to sail the ships around the world? He asked for the money in Alhambra! Inside one of the gardens of Alhambra. They have a good lecture on how the water was handled back then to keep everything cool. 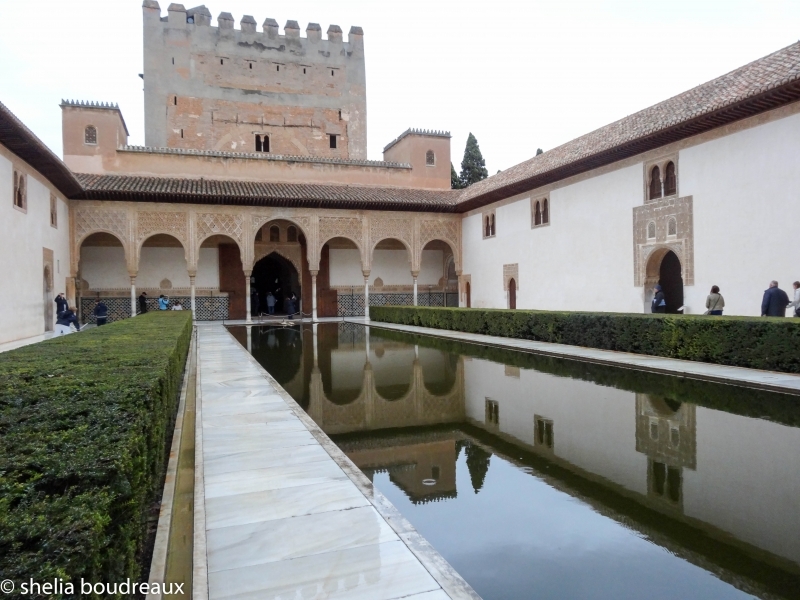 There is a rich history of Catholic overtaking of the Moors at Alhambra. I wish we would have had more time to really study what was going on at the time. Read on it before you go so you are familiar with all of the stories. There are guides everywhere, and if you can find a way to rent a car, you should. However, we took a bus because it is about an hour drive each way. On a side note, here is a good write up of Columbus from the History Channel. We decided to do the round trip back to Barcelona, and that let us have additional time in the city. From there, we parted ways with the family and my hubs and I took a quick flight to Paris to celebrate Christmas. But that is another story…. hello, i will like to take a tour of some of the interesting sites as seen . pls put me through.